It’s finally here!!!! After the long journey that began in August 32 teams began the season, but only 2 remain. However, football is like Highlander in that there can be only one! 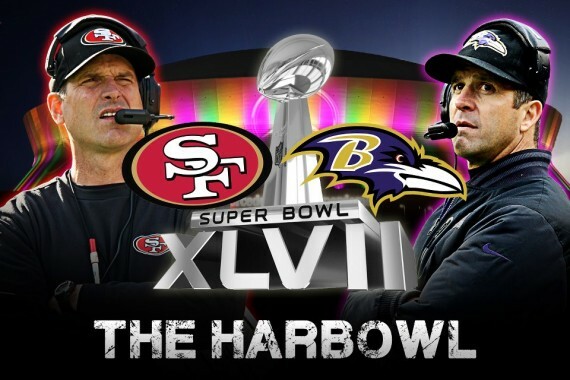 This Super Bowl has been anointed the Harbowl as we see the classic sibling rivalry of whose is better. I know one thing it’s sure going to be awkward at the dinner table in the Harbaugh house after this one. Maybe Mrs. Harbaugh should ask Archie Manning how he deals with his boys. 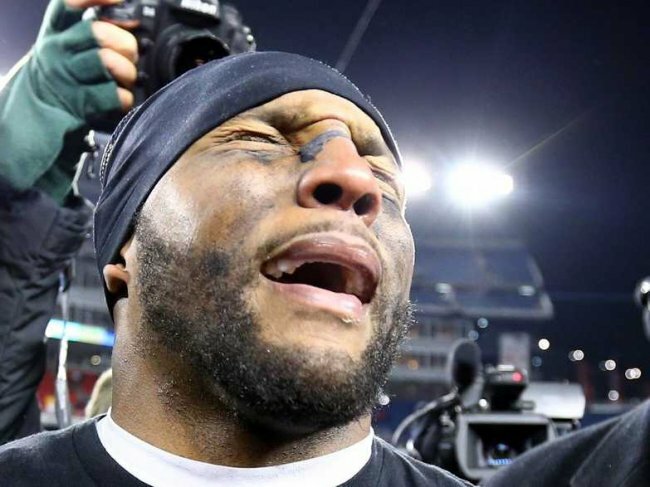 Getting back on track the Ravens have ridden the inspirational words of Tim Tebow, whoops I meant Ray Lewis on a magical playoff run. Sorry Ravens fans I love Ray Lewis but I think he’s going a little overboard with the religious references since he decided this would be his last playoff ride. The question remains can Lewis inspire his team to overcome the 49ers in his last game? 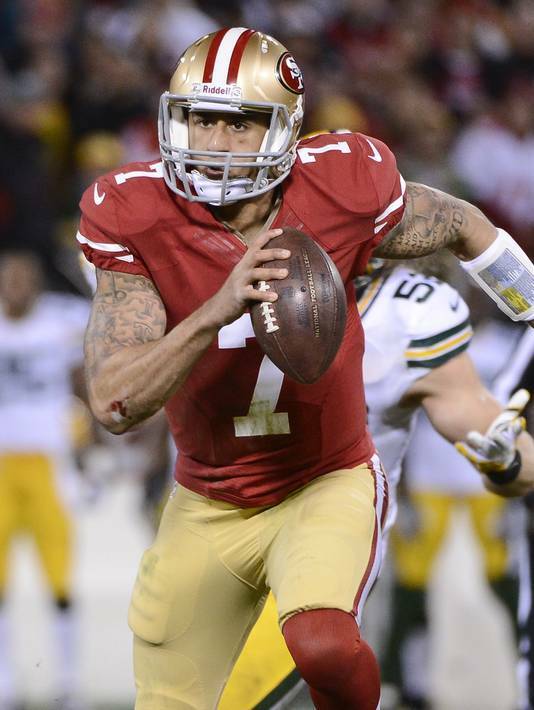 The 49ers, on the other hand, have ridden the tattooed cannon arm of Colin Kaepernick since he took over for Alex Smith midway through the season. Remember when there was a supposed quarterback controversy only a few weeks ago? He’s been an unstoppable ground and aerial assault throughout the postseason and is looking to cap off his amazing season with the 49ers sixth Super Bowl in franchise history. Both teams have taken very different paths to get top New Orleans, but surprisingly they are similarly constructed. Both have very good defenses, quarterbacks that can make the big play, and great running backs. Here’s my preview of why I believe both teams could win the Superbowl. The Ravens success this postseason is because of the strong quarterback play out of Joe Flacco and their resurgent defense with the return of Lewis. Baltimore has been flying high since Lewis announced that this will be his last season with the team. The win one for the gipper attitude has spread throughout the Ravens locker room as they try to give number 52 one more ring as he walks into the sunset. One of the biggest reasons that the Ravens are in this position is because of their leader under center. Joe Flacco has thrown 8 touchdowns with no interceptions this postseason and while the offense is usually the achilles hill for the Ravens, it has been their strength this postseason. Don’t forget these Ravens have beaten both Peyton Manning and Tom Brady in their respective buildings. Last time I checked they were two of the best quarterbacks in the game. While the defense has been good it hasn’t been anywhere near the dominant defense we’ve come to expect from the purple and black. This two-week layoff benefits this banged up unit and will allow them to get some much-needed rest. The keys to for the Ravens to win is they must have a big game on the ground with Ray Rice. This is a battle of defenses and the best way to beat a great defense is to keep them on the field. If the Ravens can wear down the formidable 49ers defense it will not only wear them down but give them more favorable deep ball match ups. This is where the Ravens need to make play is down the field and use Flaccos big arm. They need Torrey Smith and Anquan Boldin to stretch the field. I believe that the Ravens have the better special teams entering this game while also having the major x factor of Ray Lewis’ retirement for added motivation. You can’t tell me they’re not going to give everything they have for their leader so he can go out a champion. On the defensive side of the ball the Ravens need to figure out how to slow the read option. This will be a test, but the Ravens have one of the most seasoned defenses in the NFL and aren’t fooled easily or for long. They need to play Raven defense which is to play physical and break the will of the 49ers. If the Ravens continue to play at the level they’ve been playing, especially Joe Flacco, it could be an easy win in the Big Easy. My the difference a year can make. A year ago the 49ers were kicking themselves because of the butter fingers their special teams had. This team feels that they should have been in the Super Bowl over the Giants and that this should be a repeat year. However, this season they have made it but not in the way that most 49ers fans, and football fans in general, expected. Ever since the glory days of Montana and Young the quarterback position for the 49ers has been a question mark. It still is but today it’s a riddle that gives defensive coordinators headaches. Coming into this season the 49ers were highly favored to be in this Super Bowl and that Alex Smith would finally get the monkey off his back, much like Steve Young, and get ride of his “Bust” tag that has haunted him since being the number one draft choice. However, Alex Smith is riding the pine pony as his replacement Colin Kaerpernick looks to win the 49ers sixth Super Bowl in franchise history. Even coming into this postseason there was a “quarterback controversy” about who would lead this team. However, Kaerpernick has run away with this job much like he had all season. The read option has added a new dimension to the dominant running game that the 49ers have built since Jim Harbaugh took over. Run the ball and play great defense a memo that both the Ravens and 49ers have flourished with. However, the Ravens do not have a dominating offensive line or a stable of running backs that have the first ranked rushing attack in the postseason. They also don’t have the dynamic quarterback that can shred defense with both his legs and his arm. Add in the top overall ranked defense and you have the recipe for the 49ers success. San Francisco can win this game if they just continue to do what they do best. Play fast and physical defense and force the opponent to make mistakes. On offense run the ball!!!!!! Use the dynamic rushing attack to wear the Ravens older defense down and keep their offense off the field. By running the ball you give Kaepernick more big plays by opening the field with both rushing and passing lanes. If Vernon Davis can match the performance he gave against the Falcons that will really open up the middle of the field and give Kapernick a great target in the seam. While they might not have the same explosiveness on the outside like the Ravens, they do have the advantage in the TE position and can control the middle of the field. Don’t forget the Raven defense is old, wearing them down and keeping them on the field is crucial for the 49ers to be successful. If the 49ers play like they have all postseason they could bring back the sixth Lombardi trophy back to San Francisco. And the Winner is …………….. This is why I’m picking the 49ers. I think that while Joe Flacco has played great this postseason he is a quarterback known for mistakes and I think he is well overdue. The Ravens defense this postseason has played great this postseason they have played against passing offenses. They’re great against stopping the past and have been mediocre at stopping the run. They haven’t played a physical team like the 49ers and while I think the Ravens can stop the run early as the game wears on they will wear down. I understand that the field goal kicking unit has been shaky for the 49ers but I think overall they have a better defense then the Ravens. While the Ravens have the better passing game the 49ers have a slight edge in the ground game with their dynamic offense and these new looks will catch the Ravens off guard. Overall I do think this will be a close Super Bowl and has the potential to be one of the best ones ever. Do you agree or disagree? Take the poll at the the bottom and vote for who you think the Super Bowl champion will be. 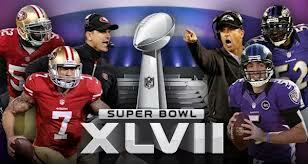 49ers and Ravens who will be the last one standing?? Previous Revis Island for sale?